Northern Corfu is distinctly different from the rest of the island in many ways. Here’s a closer look at this fantastic region of one of Greece’s most beautiful islands. Corfu is one of seven Ionian Islands that lie off the northwest coast of Greece with a unique cultural heritage that mirrors its years under Venetian, French and British rule before it was united with Greece in 1864. Corfu Town is a highlight, known for two storied Venetian fortresses, its medieval architecture, cobbled lanes and majestic Palace of St. Michael and St. George. Over the years, Corfu has become known mainly as mass-market package holiday destination. That’s not the case for northern Corfu – specifically northeastern Corfu. Here, a mountainous coastline and beautiful bays are the ideal settings for secluded villas. 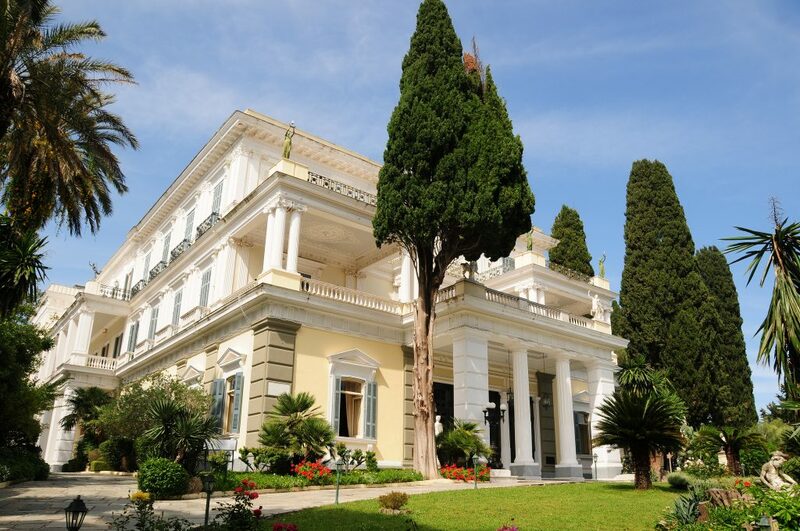 This upmarket region of Corfu is for those seeking authentic Greek cultural experiences surrounded by the island’s gorgeous nature. 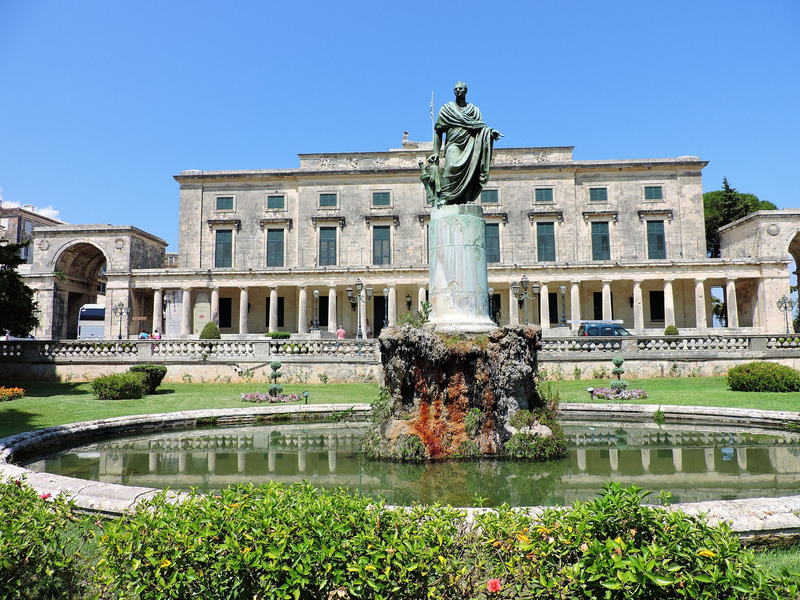 Here’s a tour of northern Corfu, a hidden tale to discover in the Greek islands. Agios Stefanos is a seaside village known for its picturesque setting, traditional tavernas and a stretch of villas that tumble down its lush hills. Other pretty bay areas include Kalami and Agni, also known for a sophisticated feel and easy vibe. In Nissaki, the mountain cliffs drop dramatically into the sea and the town’s main road runs just as dramatically above its pristine coast. Kassiopi is a stunning village that overlooks the mountains of neighboring Albania. 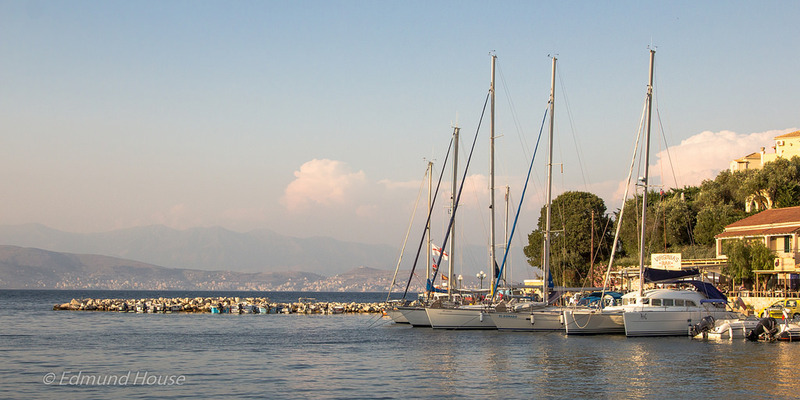 In Kassiopi, visitors can explore its ruined castle and stroll its lanes defined by pastel colored buildings. It also happens to be one of the best diving centers on the island. As far as beauty goes, this stretch of coast between Kassiopi and Pirgi is said to be the most impressive on the island. 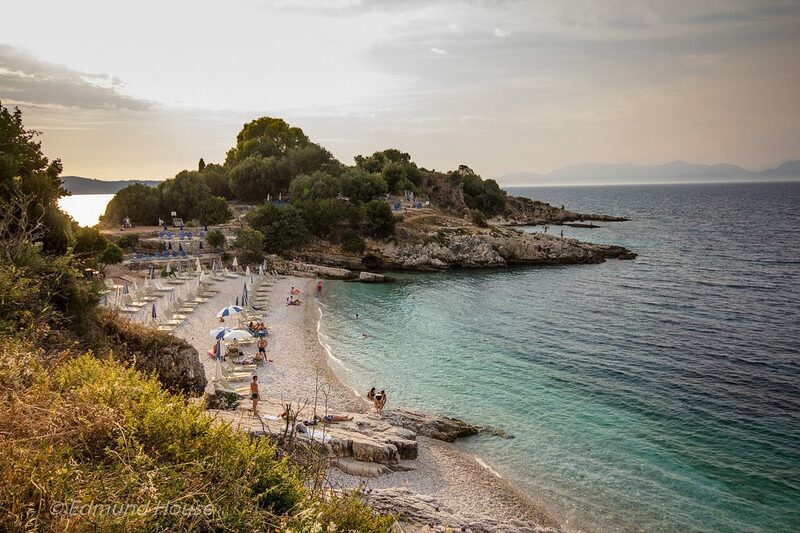 From sandy, pebbled to small and large, there is a 25 kilometer stretch of beaches from Arilla to Kassiopi. Many have been awarded a Blue Flag for crystal clear waters and high environmental standards. Some of the best include Kerasia, Kalami, Agios Stefanos, Kassiopi and Syki. 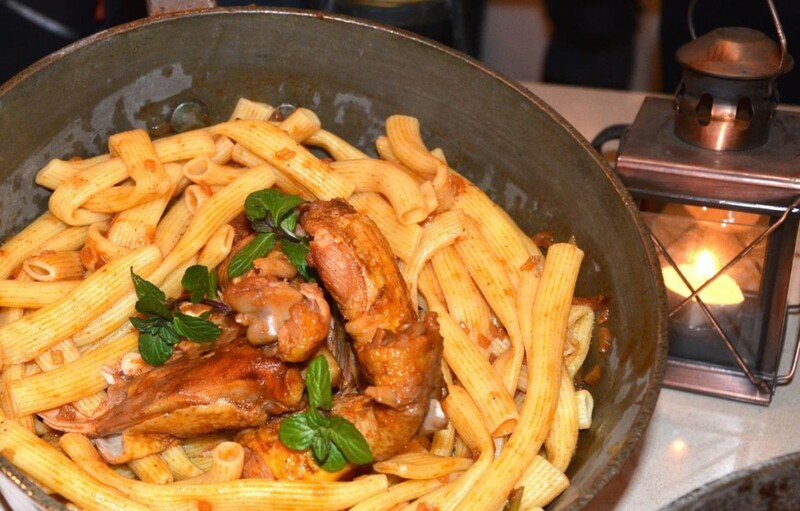 The traditional cuisine of Corfu feature special flavors that are linked to the island. In northern Corfu, you can enjoy these plates at simple taverns with fantastic views of the region. Corfou – A tangy local cow’s cheese similar to Italian pecorino. Boiled hen with stuffing – Traditionally served during New Year celebrations, a boiled hen or chicken is stuffed with chopped beef, bacon, eggs, cheese, herbs and spices then roasted in the oven. Eggplant pastrokio – A fried eggplant dish layered with cheese and baked with sliced boiled eggs, pancetta, salami, and covered with a tomato-basil sauce. Banketa – A sweet made with marzipan and tangerine peel, dusted with confectioner’s sugar. Bourdeto – A slow-cooked fish dish with onion, tomato sauce, hot red pepper and lemon juice. Bourdouni – A fried sausage with bits of pork fat, spices, onion, garlic, cloves, nutmeg, salt and pepper. Papalina – Little dark-colored sardines coated with flour and fried with onions. 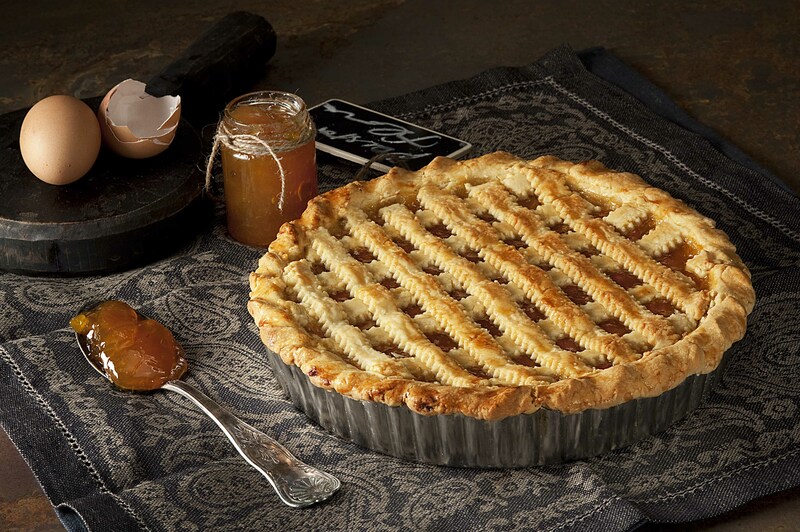 Pasta Flora – A delicious thick pastry topped with home-made jam and decorated with strips of pastry. Pastitsada – This is the island’s signature slow-cooked meat dish, made with cockerel or veal, often served during holidays. 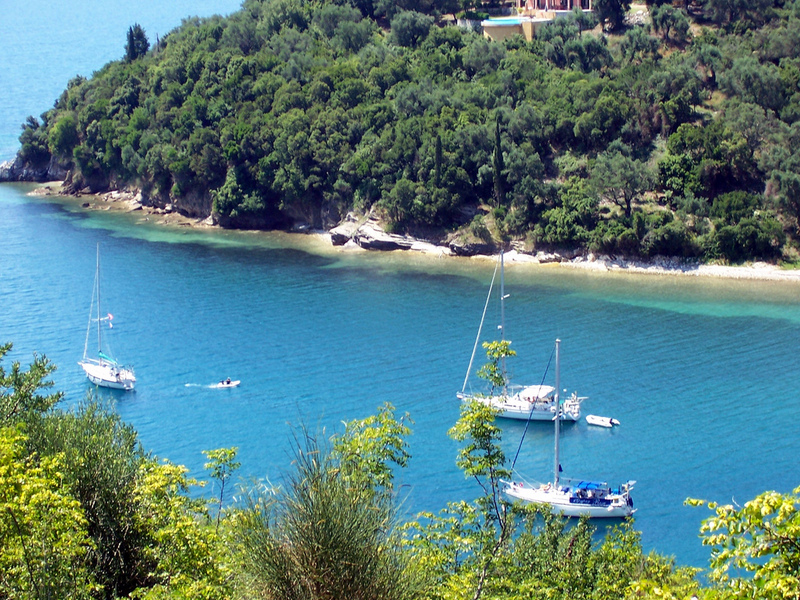 Another special aspect to northern Corfu is its proximity to a quaint little island called Othoni. Along with Mathraki and Ereikoussa, Othoni is part of the Diapontia islands. Othoni is the largest of the three, about 11 km2 in size, with 600 full-time residents. The rocky landscape is ripe with olive trees and the coast is full of pretty beaches. Some top cultural sights include the Holy Trinity Church and other Byzantine era churches, the Kastri Venetian fortress and Calypsos Cave. According to Greek mythology, the mysterious cave is believed to be where Calypso kept Ulysses as her captive. The most beautiful beach is known to be Aspros Ammos, a white sand beach. There’s also a historic lighthouse dating back to the 19th century. One of the loveliest villages on Othoni is Vitsentziatika. Here, visitors can soak in the view of the island, the sea and the coasts of Albania and Italy. Corfu is a rich destination to discover with a wealth of everything a culturally minded traveler could want to discover. 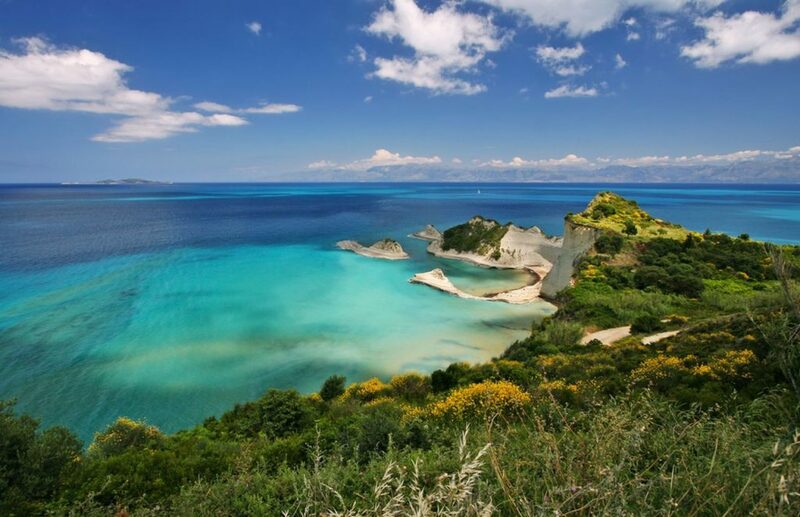 To understand the differences between north and south Corfu, you need to see it for yourself! 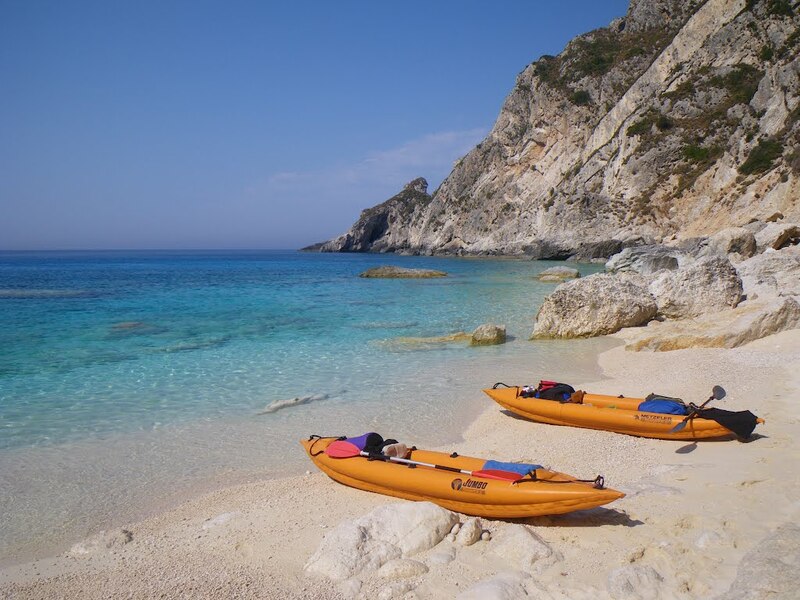 Inquire about our bespoke itineraries that are designed to truly explore this Ionian island.